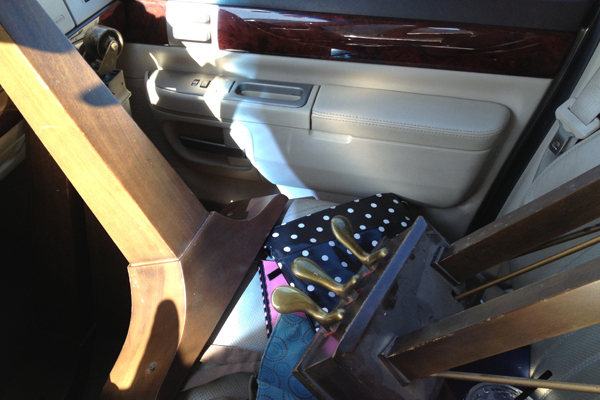 The pedals, legs, and lid were in the back of my car while Jordan had the piano in the back of the truck. Thank goodness for our home teacher and my mom+dad's neighbors! We couldn't have moved it without them! 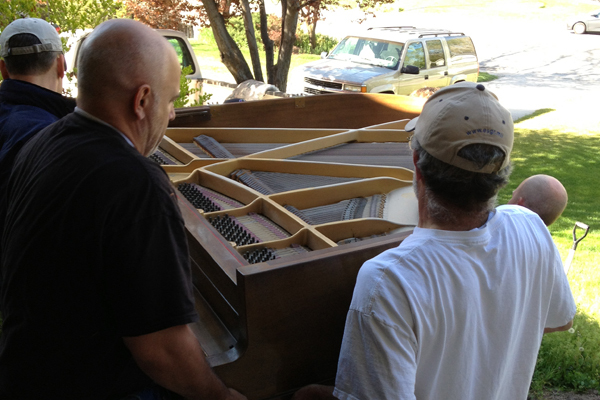 We got the piano into the truck and then drove the 4.2 miles from my mom's house to mine. 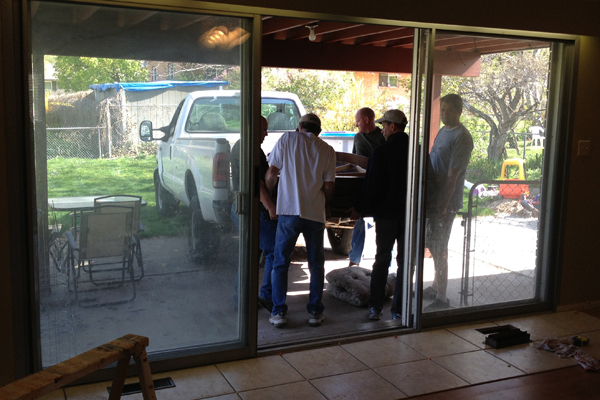 We drove the truck to the back yard and backed it up to our ginormous back door. We had the saw horses set up ready to rest the piano on it so we could get the legs on it right away. There you have it. 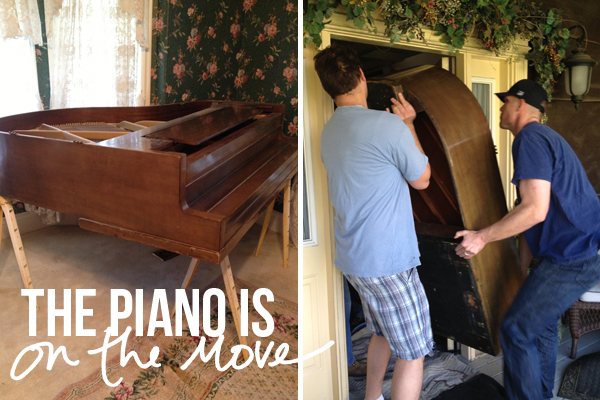 We moved the piano and nobody got hurt! Soon I'll share a photo of the space all put together and the baseboard up in this corner. 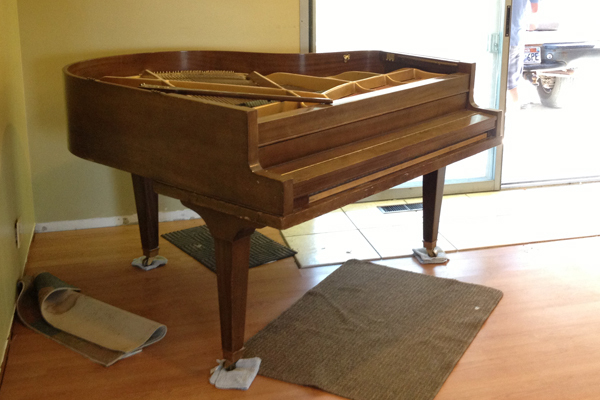 Projects are constantly running around here, and I'm glad that getting the piano here, inside my house, is complete. Now to decorate and pull this corner together for real.